Package design is a lot fun. It is very three-dimensional and you get to consider and play with a seemingly limitless number of textures, colors, papers and even fabrics. This summer I worked on the package design for COCOTIQUE. 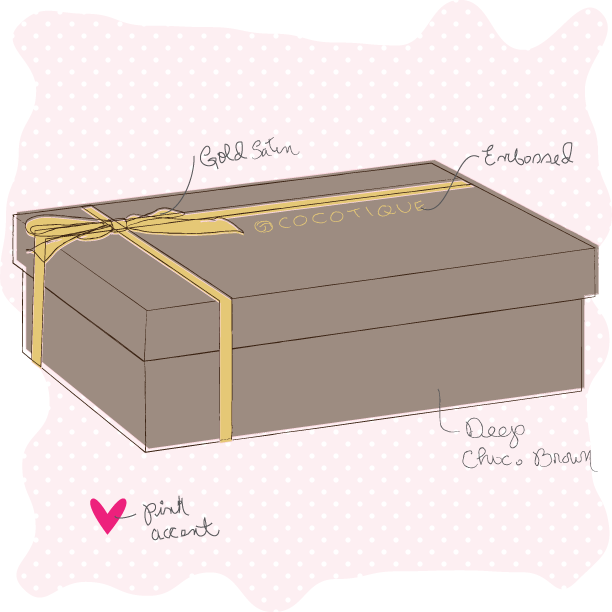 Company Info: COCOTIQUE is a deluxe beauty box subscription service for women of color and diverse ethnicities. Each month COCOTIQUE ships a specially curated box filled with 5-6 sample/travel-sized beauty and lifestyle products from high-end, niche and mass brands for just $20/month. After trying out your samples, you can then purchase the full size products at the COCOTIQUE Shop. We look forward to sharing more detailed portfolio pictures soon, but thought it would be fun to share the experience of receiving my first COCOTIQUE delivery. It was a great way to end a challenging work week (pat on the back) and an even better way to kick off a weekend of pampering and relaxation.